A full day of thrilling rides outdoors! klook voucher is easy to use. encounter no problem. the dry park is really fun. suitable for adults and children. the water park is rather small but still enjoyable. Spend the day at Penang’s most exciting amusement park and try out over 38 rides and attractions with family and friends. 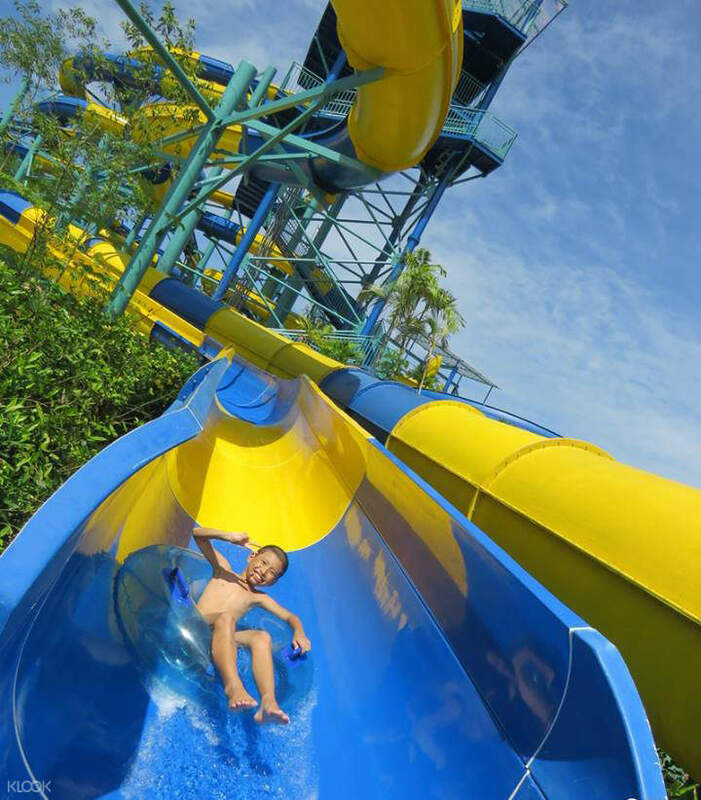 A one day admission ticket to Penang ESCAPE Adventureplay Theme Park grants you access to unlimited entertainment for both kids and adults. All the rides in the park have been designed for different ages and energy levels and a day at the park would make a fun day out for the whole family. Go on rope and obstacle courses, cool down on one of the many speedy water slides, try out springboards and diving platforms and so much more! Really a great theme park. It's got two parts: the adventure play and the water park. We paticularly enjoyed the adventure play; it's got very thrilling rides. If you can purchase tickets in advance, the price is lower at the official website. Really a great theme park. It's got two parts: the adventure play and the water park. We paticularly enjoyed the adventure play; it's got very thrilling rides. If you can purchase tickets in advance, the price is lower at the official website. First time to ESCAPE. The activities are challenging yet manageable. My wife was worried that the place may be too hot to enjoy but in fact it is quite shady which allow her to sit and rest in between the activities. Had a wonderful time there. First time to ESCAPE. The activities are challenging yet manageable. My wife was worried that the place may be too hot to enjoy but in fact it is quite shady which allow her to sit and rest in between the activities. Had a wonderful time there. Escape park is super fun. Staff are very friendly and the activities are challenging. Highly recommend to go this theme park. Escape park is super fun. 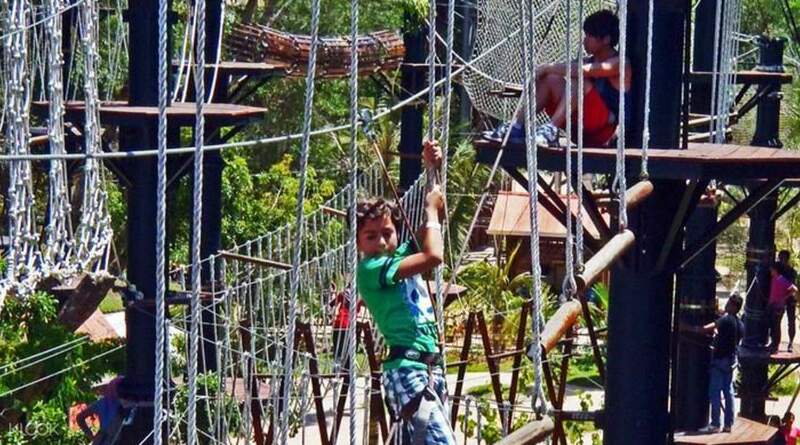 Staff are very friendly and the activities are challenging. Highly recommend to go this theme park. klook voucher is easy to use. encounter no problem. the dry park is really fun. suitable for adults and children. the water park is rather small but still enjoyable. klook voucher is easy to use. encounter no problem. the dry park is really fun. suitable for adults and children. the water park is rather small but still enjoyable. The entire experience was super amazing. I bought my ticket during the merdeka sales, where Klook offered it at RM61 only! Even cheaper when i used my Klook points! Lowest price guaranteed for sure. For those who haven't been there before, I'd highly recommend you to go during weekdays/ off-peak days so that it'll be less crowded. And yup bring your own swimsuit if you wanna go for their water park, else you'll be charged for renting their swinsuits! The entire experience was super amazing. I bought my ticket during the merdeka sales, where Klook offered it at RM61 only! Even cheaper when i used my Klook points! Lowest price guaranteed for sure. For those who haven't been there before, I'd highly recommend you to go during weekdays/ off-peak days so that it'll be less crowded. And yup bring your own swimsuit if you wanna go for their water park, else you'll be charged for renting their swinsuits! Penang escape is definitely a must visit if you like outdoor and water play. The place is clean, non smoker whole area, great and very friendly staff and very helpful. Penang escape professionally managed. All area is clean and safe. Facilities are very good. The banana flip escape is a thrilling and ultimate one!! Totally must visit in Penang! Penang escape is definitely a must visit if you like outdoor and water play. The place is clean, non smoker whole area, great and very friendly staff and very helpful. Penang escape professionally managed. All area is clean and safe. Facilities are very good. The banana flip escape is a thrilling and ultimate one!! Totally must visit in Penang! Amazing place to have full day of fun! Super kind and helpful staff. Lots of fun activities for all ages. We went there at 10am when it opened and headed straight to the adventure park so we didn't have to wait around much to get to the activities. At the waterpark there were fun games/competitions and shows that made time fly by. Highly recommend this place to everyone! Amazing place to have full day of fun! Super kind and helpful staff. Lots of fun activities for all ages. We went there at 10am when it opened and headed straight to the adventure park so we didn't have to wait around much to get to the activities. At the waterpark there were fun games/competitions and shows that made time fly by. Highly recommend this place to everyone! Was lucky to book the day that seems to have less people. Staff are friendly and always there to help. Be sure to wear actually swim wear if you want to play the water theme park ride. No jersey or any such but rest assure they do sell swim wear on a very low price! Was lucky to book the day that seems to have less people. Staff are friendly and always there to help. Be sure to wear actually swim wear if you want to play the water theme park ride. No jersey or any such but rest assure they do sell swim wear on a very low price! Unique experience, less queues. Great start for the waterpark, hoping for more additions to it in the future. Shower rooms are clean and the e-wallet system is pretty nifty. ALso, the best thing was that we could get e-wallet credits by exchanging our rapid penang tickets at the counter. Great perk there. 10/10 will come again to test my limits and fears in level 3. Unique experience, less queues. Great start for the waterpark, hoping for more additions to it in the future. Shower rooms are clean and the e-wallet system is pretty nifty. ALso, the best thing was that we could get e-wallet credits by exchanging our rapid penang tickets at the counter. Great perk there. 10/10 will come again to test my limits and fears in level 3. The overall experience is very good. 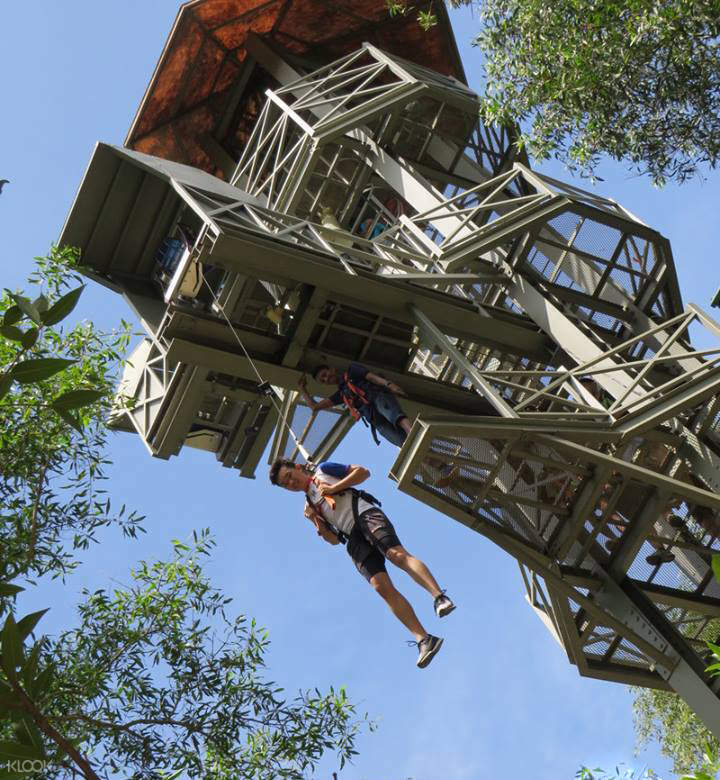 The must play at advanture park is the ultimate FLYING FOX! 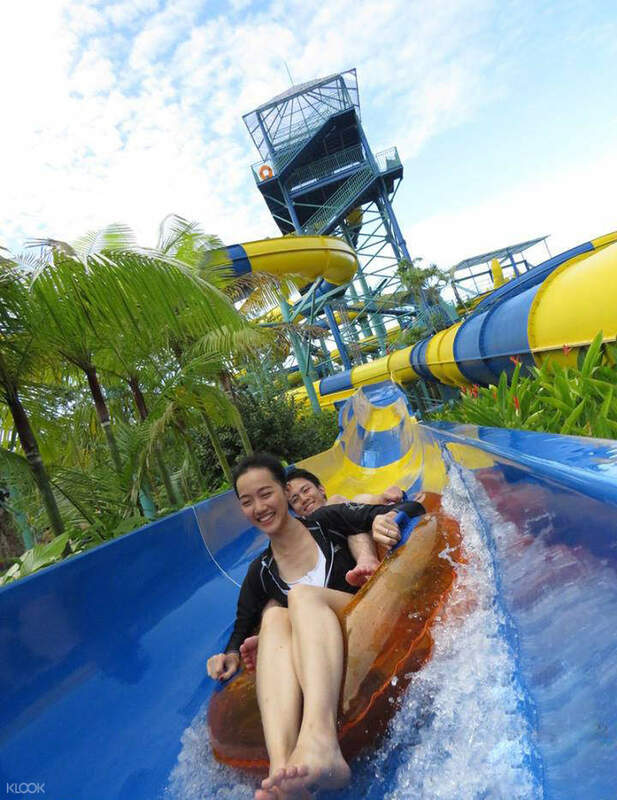 Escape also has the water theme park which satisfied the children and adult. But remember to bring your own swim suit otherwise you can purchase at the shop there. For lunch, you can have a plenty of choice over there. It is delicious and value for money! Definitely will go again ! The overall experience is very good. 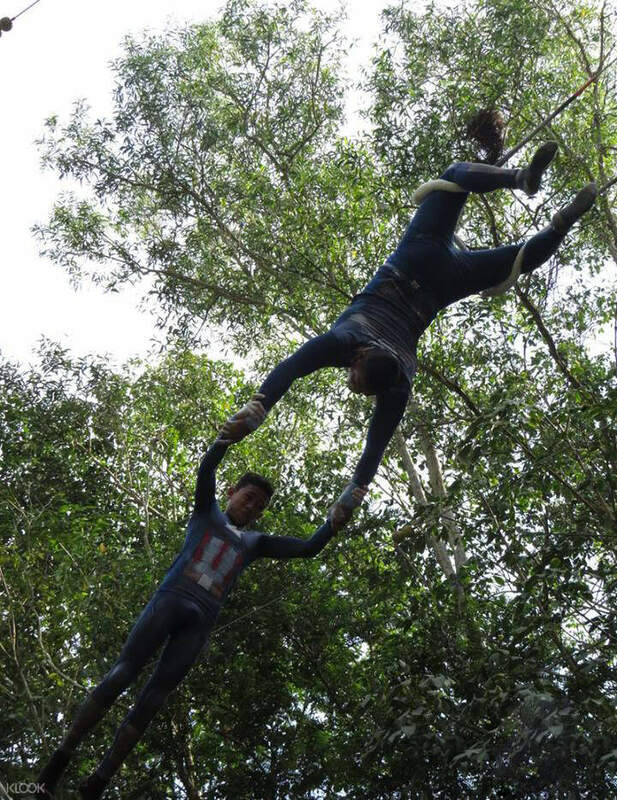 The must play at advanture park is the ultimate FLYING FOX! Escape also has the water theme park which satisfied the children and adult. But remember to bring your own swim suit otherwise you can purchase at the shop there. For lunch, you can have a plenty of choice over there. It is delicious and value for money! Definitely will go again !